Robin writes: This is a new departure for TEBI — our very first guest blog post. It’s by Murray Coleman who, like me, is an experienced journalist. He’s written for some of the most popular publications in the financial media, including The Financial Times, The Wall Street Journal, Barron’s, MarketWatch and Investor’s Business Daily. Something else that Murray and I have in common is that we’ve recently started to work with financial advice businesses; I now work on a part-time basis for RockWealth, here in the UK, while Murray has recently joined Index Fund Advisors — or IFA.com — in Irvine, California. Index Fund Advisors, you may recall, is the firm I collaborated with in producing the award-winning documentary Index Funds: The 12-Step Recovery Program for Active Investors. 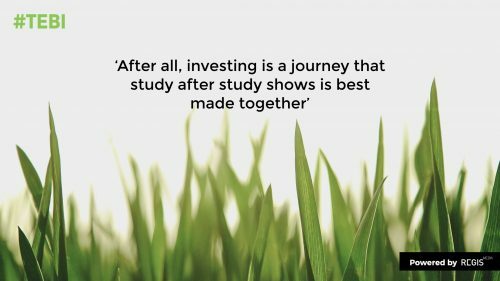 It’s a hugely impressive operation, and its website, dare I say, has an even more comprehensive range of content and academic research about investing than this one! In this article, Murray discusses an issue I’ve touched on many times myself, namely the conflicted nature of the financial media. To be clear, I’m proud to be a journalist, and I’m a passionate believer in the importance of a free press. And, in my experience, it’s not that journalists deliberately set out to mislead the investing public. The fact is, however, that most of what gets written and broadcast in both the mainstream financial media and the trade press, is of far more benefit to the investing industry than it is to investors. Over to you, Murray. At the end of a two-day investment conference sponsored by Dimensional Fund Advisors in Los Angeles last month, I couldn’t stop squirming. The final workshop included a slide show highlighting articles from major business publications across the country conveying a range of dire investment messages. Some spouted warnings of impending market calamity. Others urged investors to pounce on opportunities that everyone else seemed to be overlooking. The presentation was led by another former journalist, someone who once worked at the same national daily where I had started as a fledgling reporter. He adeptly set up each story by depicting what was going on at the time, then taking a step back to see what actually happened as markets unpredictably turned. For good reason, the crowd around me roared with laughter as each short-term prediction turned into quicksand. But I had to step outside. After more than two decades as a financial journalist, my presence at the seminar came on the heels of my leaving journalism to work full-time as an investment writer at Index Fund Advisors. I must admit to feeling rather contrite in walking out the door that day in Santa Monica. Even though none of the bylines presented were mine, the irony was clear. I had to confront again a very unpleasant truth. 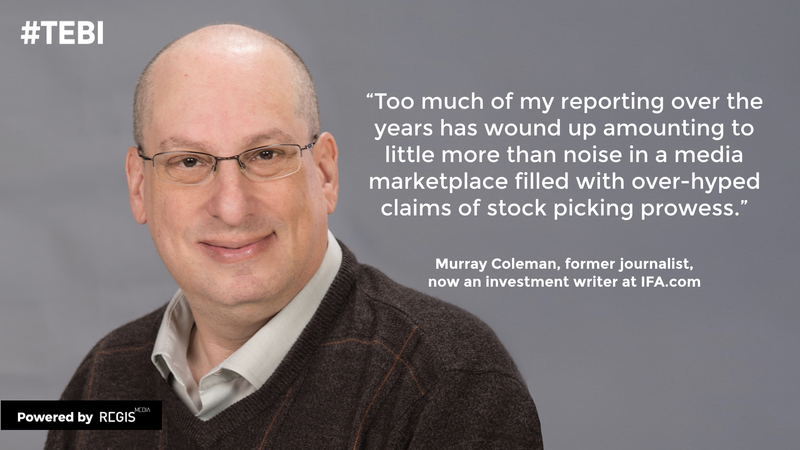 Too much of my reporting over the years has wound up amounting to little more than noise in a media marketplace filled with over-hyped claims of stock picking prowess. I was trained as a journalist to approach any type of speculative claim with a high degree of skepticism. But it took years of sifting through a wealth of academic research and market evidence for me to finally make a career change. In all honesty, it’s just become too apparent to me that index-based investing is the only way to achieve long-term financial success. To members of the fifth estate, that probably seems like a highly subjective assessment. No doubt other journalists will see my decision to become a dedicated in-house writer for an independent RIA as a breach of oath to serve as an impartial observer of everything dealing with fund investing. But I see working for IFA and its website, IFA.com, as a natural extension of my growth as an investment writer. As a financial journalist, I learned over the years how objectivity could be obfuscated to give a voice to money managers who either were unable or just not knowledgeable enough to truly work in the best interests of their investors. Don’t get me wrong — I learned a lot as a financial journalist and keep believing in the importance of a free press. But I now have the freedom to set a base level of standard fiduciary conduct to judge fair play in financial markets. Namely, I’m being tasked at IFA to help chronicle investing by applying a filter where a rules-based and highly analytical process steeped in top-drawer independent academic research is a baseline for evaluating investment decisions. This opportunity not only comes at the right time in my professional life, it also involves working for one of this industry’s pioneering fiduciaries, Mark Hebner. I just can’t imagine transitioning out of journalism anywhere else but here. So I come to you as a reformed journalist. I’ve learned the hard way that whether as an investor or writer, dealing with markets is a humbling experience. I am thrilled to be able to take part in a dialogue about markets that traces its roots to research by industry luminaries such as Eugene Fama, Kenneth French, and William Sharpe. I only hope to be able to live up to the high ethical and intellectual standards set by Mark and his crew at IFA.com. Please feel free to write me to suggest story ideas or critique current articles. After all, investing is a journey that study after study shows is best made together, not alone. This article first appeared on the Index Fund Advisors website. The Evidence-Based Investor is produced by Regis Media, a boutique provider of high-quality content and social media management for evidence-based advice firms. For more information about what we do, visit our website or YouTube channel.